Ahead of the 2019 truck-racing season, CVW catches up with Bradley Candlish, Team Manager of Smith Trucksport, to find out how the reigning BTRC champions are planning to maintain their position as the team to beat this year. 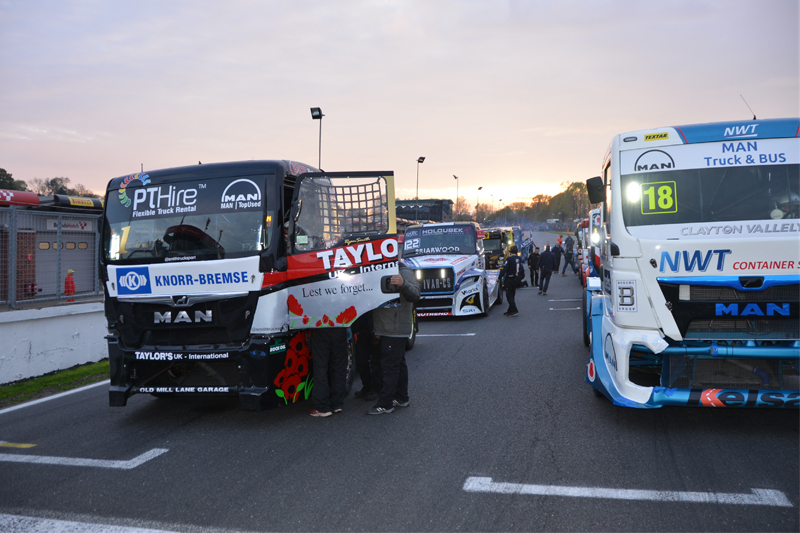 Smith Trucksport has won the British Truck Racing Championship (BTRC) for the last three years. 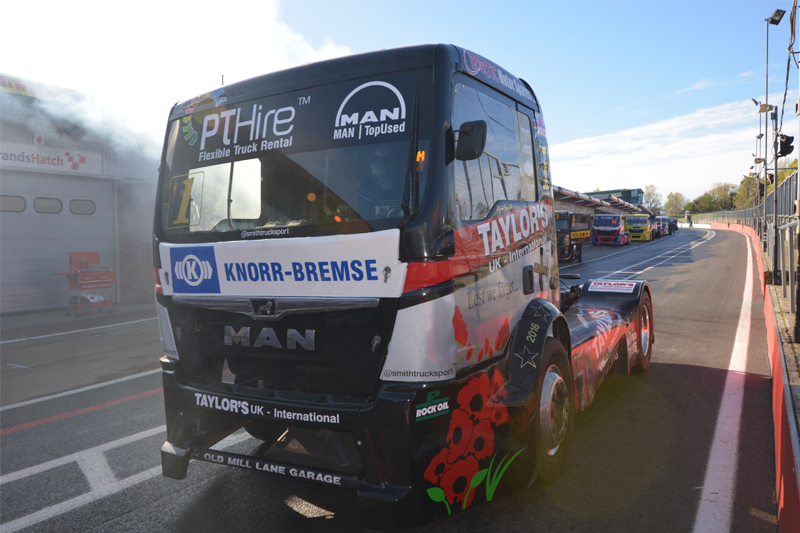 The team is small but specialised, and has its sights set firmly on the British and European truck racing titles. Behind the wheel sits Ryan Smith, who started Smith Trucksport in 2014 with the help of Aaron Parkin, who is now the team’s chief technician. 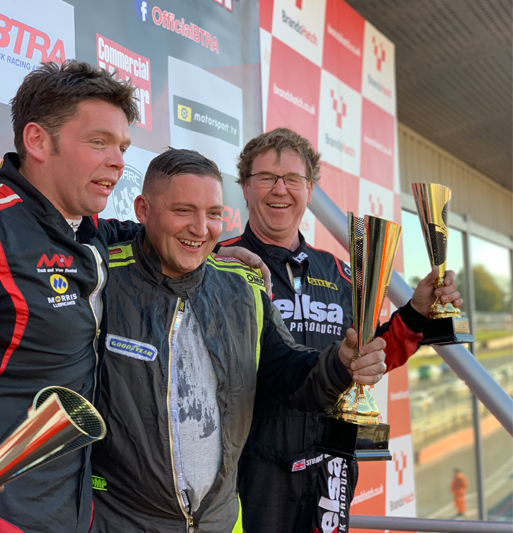 Organising and marketing Smith Trucksport is Bradley Candlish, Team Manager, who agreed to sit down with CVW to run through the latest news from one of the UK’s premier truck racing teams. Bradley explained, “We’re really going to focus on Europe this year – that’s the European Truck Racing Championship (ETRC). Since last season, we have been working on our new Navistar International truck, in cooperation with Navistar – the American truck brand. This will be ready to go for the start of the European season, which kicks off in May, in Misano, Italy. As Bradley said, the machine has changed, but the man behind the wheel certainly hasn’t. Ryan Smith, the team’s driver and co-founder, has, to coin a phrase, racing in his blood. He grew up surrounded by the sport, with his father being chief mechanic in the highly successful Translitre Truck Racing Team during the late ‘80s and early ‘90s. This heritage, as well as a great deal of natural talent, led to Ryan setting up Smith Trucksport in 2014, in order to compete at the top level and hone his driving ability. “A team’s success is often thanks to the madmen behind the wheel,” continued Bradley. “There are a few drivers who just have that little bit more about them, that other level of feel in their driving. Ryan is one of these guys. He has managed to achieve so much with what has been quite an old truck, the MAN TGX, so to give him a new machine is going to make for a very interesting season. As skilled as Ryan is, there is a limit to how much he can influence the team’s success. To make sure the truck is operating at optimum performance throughout the season, he has a highly proficient engineering team in support should the truck be on the receiving end of some hard knocks. Heading up this side of the business is Aaron Parkin. Bradley continued, “Our chief engineer, Aaron, knows every single nut and bolt on our truck. Aaron actually started out as a car mechanic, but has since learnt the truck trade. Bradley has a fair amount of engineering experience as well, having served for 10 years in the RAF as an aeronautical engineer. So it came as no surprise that he believes a number of the team’s past triumphs are due to the meticulous maintenance and repair involved in a racing season: “There is so much energy in these machines compared to a normal race car. Take a GT car, for example. An Aston Martin can go at 200mph, but realistically, that will weigh about one-and-a-half tonnes, maximum. Now, a truck won’t make those top speeds, but they weigh about three-and-a-half times more than the cars. That’s a serious amount of energy! That being said, it’s not just the ability to repair the vehicle that makes for a long, fruitful season. As Bradley explained, truck- racing teams also rely on quality support from sponsors. 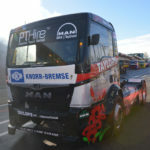 Smith Trucksport receives a great deal of backing from Knorr-Bremse, the braking systems specialist and supplier, as well as a number of other suppliers. “We have a great relationship with Knorr-Bremse, who supply the parts for our braking systems. They provide all our solenoid valves and four-way pneumatic valves, things like that really. Steering as well, that’s all Knorr-Bremse. The steering box they give to us is particularly excellent. It’s all based on road components, but slightly tuned to give out a higher pressure. Another big change for this year is that Smith Trucksport will be competing as an independent team in Europe. Previously, Ryan had been in partnership with Oxxo, a European truck-racing outfit, but now the team has decided to go it alone. In past seasons, the team made use of a sponsor’s facilities as a pre-season base camp. However, this has now changed with the recent opening of a brand new workshop that will give them the freedom to organise their plan of attack. To keep up to date with how Bradley and the team progress this season, click here.